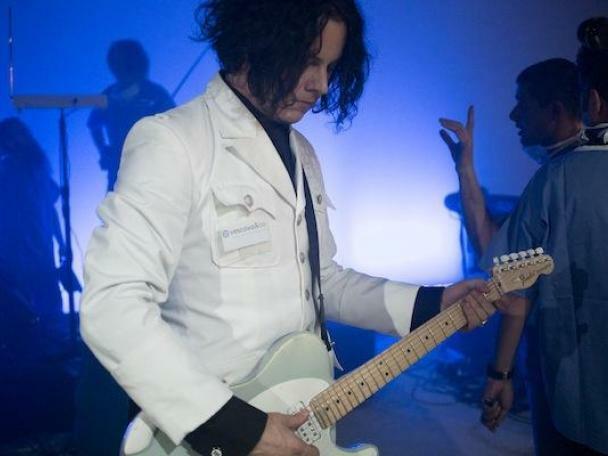 Jack White is set to play a tiny show at a London pub later today (March 28th). The American artist released his new album 'Boarding House Reach' a few days ago, and will play a sold out show at London's Garage venue later in the evening. First, though, Jack White will play the historic George Inn, located close to London Bridge. Built in 1676 after the first inn burned to the ground, it's said to be the only still-standing coaching inn left in the capital and once played host (on separate occasions, obviously) to William Shakespeare and Charles Dickens. The set kicks off at 5pm, with fans allowed in on a first-come, first-served basis from 3.30pm - once it's full, you're not getting in. As if that wasn't enough, you'll be able to sample an exclusive Jack White ‘Humoresque’ beer, with one free pint per person (while stocks last). 'Boarding House Reach' is out now.